Make a Grand Entrance on a Budget: Porticos Offer Guests Protection and Much More! Front porticos are a very popular addition to homes where owners want an affordable way to protect their front entry and guests from the weather. 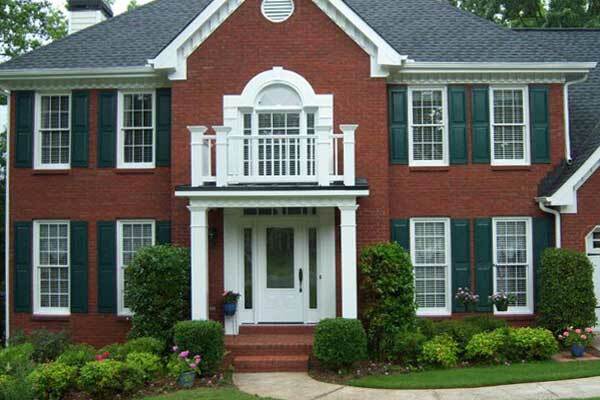 Porticos prevent doors, hardware, trim, and flooring from splintering, rotting, fading, and more. A portico addition is the ideal solution for homes that have a limited lot size or are not designed to naturally add a front porch. All these benefits add up to increased curb appeal and ultimately a higher value when it comes time to sell your home. And if you’re thinking of resale down the road, you know the view from the curb is a potential home buyer’s first impression, even when viewed online. That’s why enhancing your home’s facade with a new portico addition will pay dividends over time. You’ll enjoy updated curb appeal yet it will fit in perfectly with your neighborhood’s aesthetics. 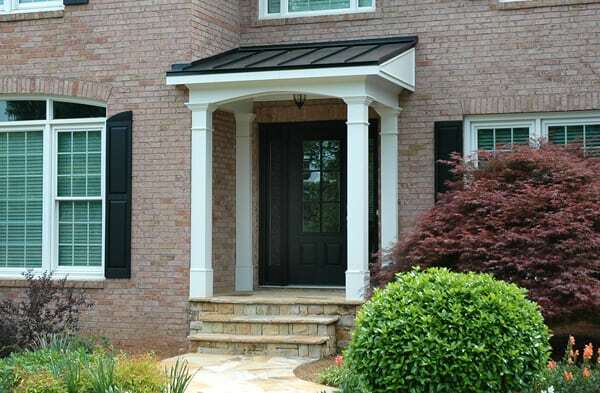 A Georgia Front Porch portico or front door overhang can be built to just about any size. Many times we use the existing stoop footprint to base the roof size. What’s a typical stoop size? Usually around 5 feet by 8 feet. But we can also design larger porticos by replacing or enlarging the existing stoop. A bracket portico, or front door canopy, is an excellent choice if there is a size restraint for the front stoop, if you have a very limited budget or if this option is the best design for your house style. 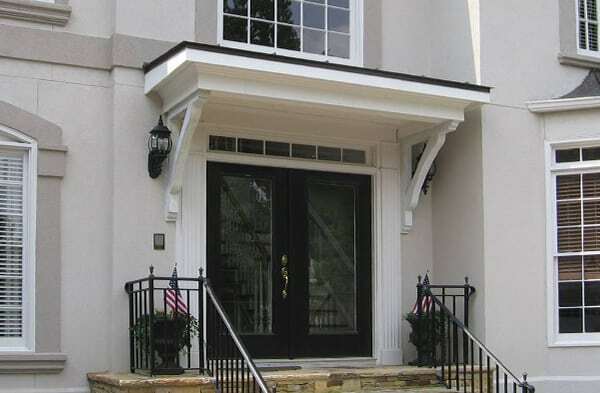 A bracket portico can also be constructed in a day, typically. A traditional portico usually takes 2-3 days. The beauty of a portico addition is the number of style options that can be customized to the home’s architecture. Porticos tend to have gabled, flat, curved, or hip styles. We work with you to select the design that will provide maximum curb appeal from every angle. What Will A Portico Cost? Browse through our gallery of “before” and “after” transformations to gain a sense of the dramatic impact a portico addition can have at a very affordable cost. Georgia Front Porch portico costs range from about $3500-4500 with most projects averaging around $3800. Costs vary depending on roof materials, such as shingle or metal, the overall design, the number of columns, and more. Recent advances in construction materials include low maintenance alternatives to wood including vinyl and wood composites, fiberglass, and PVC railings and columns. Our project designer will meet with you to discuss your needs, your portico ideas, budget, and time frame. Georgia Front Porch can even create Photoshop mockups of what your new portico will look like on your existing residence. As a homeowner, we think you’ll be delighted with our ‘photo renditions’ that allow you to truly visualize what a difference a portico will make – as well as helping you see what design options we recommend that should work best for your residence. Once you select a preferred style, we will consult with you to determine other details such as lighting, column styles, and more. You may also choose to modify your existing stoop with stone, PVC flooring, IPE (exotic wood), tile or another material. All aspects of the project will be clearly defined to eliminate surprises and to ensure that you have an excellent experience from start to finish.